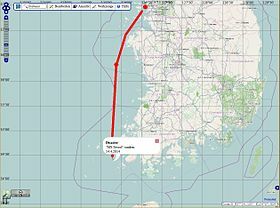 ^ 승선자 476명, 구조자 174명으로 정정 [Ferry Capsizing – The number of people on board and rescuers changed to 476 and 174]. Yonhap News (in Korean). Yonhap. 18 April 2014. Retrieved 20 May 2014. ^ 승무원 탈출 전 선사와 통화…승무원 명단 누락(종합2보) [MV Sewol Disaster – Steward calls higher ranked member before escaping... crew list missing] (in Korean). Yonhap. 29 April 2014. Retrieved 25 August 2014. ^ a b [MV Sewol's was turning at 15 degrees per second on 16 April at 8:49] (in Korean). Yonhap. 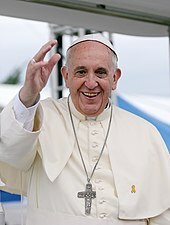 16 September 2014. Retrieved 6 October 2014. ^ a b c d 마지막 교신 "좌현 60도, 이동 쉽지 않다" [Ferry Capsizing – Last contact: "The ferry is tilted 60 degrees to the left, moving will not be easy"]. Yonhap News (in Korean). Yonhap. 20 April 2014. Retrieved 20 April 2014. 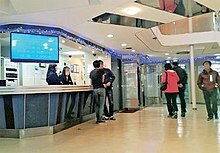 ^ 경찰 "SNS '살아 있다' 메시지 전부 가짜"(종합) [Ferry capsizing – Police say the "SNS 'I'm alive' messages are all fake" (Compiled)]. Yonhap News (in Korean). Yonhap. 17 April 2014. Retrieved 18 April 2014. ^ 해군 승조원들 '구명조끼' 던져주며 구조 [Ferry Capsizing: Navy sailors rescue by throwing life jackets] (in Korean). Yonhap. 16 April 2014. Retrieved 21 April 2014. ^ 해수부, 해양사고 '심각' 경보 발령(종합) [Ferry Capsizing: Ministry of Oceans and Fisheries, declared the naval accidental state 'grave']. Yonhap News (in Korean). 16 April 2014. Retrieved 21 April 2014. ^ 복지부, 재난의료지원팀 급파 [Ferry Capsizing: Ministry of Health and Welfare, quickly dispatched the Disaster Medical Support Team]. Yonhap News (in Korean). 16 April 2014. Retrieved 21 April 2014. 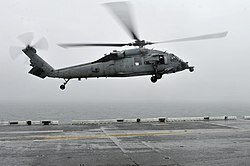 ^ 육군 특전사 150명·해군 구조대 196명 투입 [Ferry Capsizing: 150 Army Special Warfare Command units 196 Navy rescuers sent for operations]. Yonhap News (in Korean). 16 April 2014. Retrieved 27 April 2014. ^ 경기도 재난안전대책본부 가동 [Ferry Capsizing: Gyeonggi-do starts operating the Prevention and Countermeasures Headquarters]. Yonhap News (in Korean). 16 April 2014. Retrieved 27 April 2014. ^ 경기교육청 종합상황본부 확대 설치 [Ferry Capsizing: The Gyeonggi-do Office of Education establishes the Accident Countermeasures Report Compiling Headquarters]. Yonhap News (in Korean). 16 April 2014. Retrieved 27 April 2014. ^ 조명탄 쏘며 선체 수색 재개 [Ferry Capsizing – Hull investigations begin again while shooting flares]. Yonhap News (in Korean). Yonhap. 17 April 2014. Retrieved 27 April 2014. 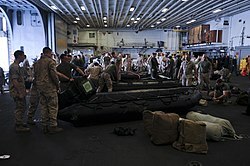 ^ 다이버 등 민간단체 수색·구조에 동참 [Ferry Capsizing – Civilian groups such as divers help in the search/rescue operations]. Yonhap News (in Korean). Yonhap. 17 April 2014. Retrieved 27 April 2014. 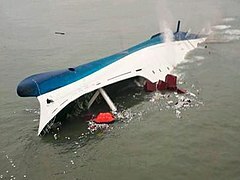 ^ "야속한 하늘이여" 기상악화로 수색중단 [Ferry Capsizing – "The cruel sky" Search operations stopped due to worsening weather conditions] (in Korean). 17 April 2014. Retrieved 27 April 2014. ^ 침몰 7일째 무인탐사기 '게 로봇' 투입 [Sewol Disaster: On the 7th day of the capsizing, unmanned search devices 'Crabster robot' added to operations]. Yonhap News (in Korean). 22 April 2014. Retrieved 30 April 2014. ^ 수사본부 '세월호 침몰 원인' 수사 집중 [MV Sewol Disaster: Investigations Headquarters focus investigations on the 'Cause of the MV Sewol Capsizing']. Yonhap News (in Korean). 3 May 2014. Retrieved 4 May 2014. ^ Kim, Kwon Young (17 April 2014). 베트남 "인명피해에 깊은 애도" [Ferry capsizing: Vietnam, "Deep condolences over the lives lost"]. Yonhap News (in Korean). Retrieved 17 April 2014. ^ 청해진해운 김한식 대표 "죽을 죄 졌습니다"(종합) [Ferry capsizing: Representative of Cheonghaejin Marine Company, Kim HanSik, "I committed a crime worthy of death"]. Yonhap News (compiled) (in Korean). 17 April 2014. Archived from the original on 18 April 2014. Retrieved 18 April 2014.